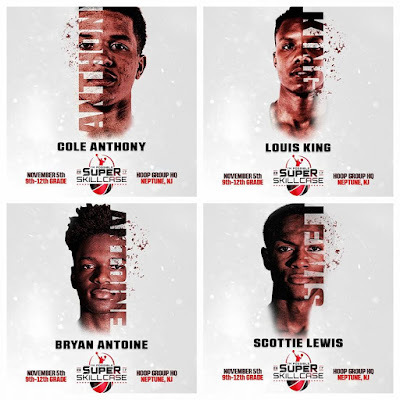 BASKETBALL SPOTLIGHT NEWS: National Ranked Players Headed To Super Skillcase! National Ranked Players Headed To Super Skillcase! The Super Skillcase is just around the corner and the National Ranked Players are flocking. Cole Anthony, Scottie Lewis, Bryan Antoine and Louis King have just confirmed attendance. This is only the beginning as Basketball Spotlight will be bringing you confirmations as they roll in.